Weirdest Anime You’ve Ever Watched? The plots of the show was interesting enough to keep me interested but once I got into the shows they got a little strange. Now this isn’t to say I didn’t know what I was getting into since I had heard about the shows on YouTube via a few anime panels, but once I watched them wow! 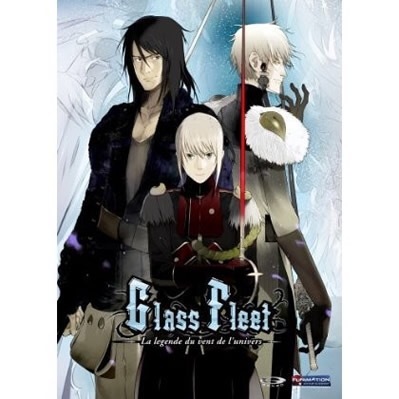 Glass Fleets weirdness mostly came from the tag line that the main character says which is “feel my wind”. Hehe I still find that line pretty funny! 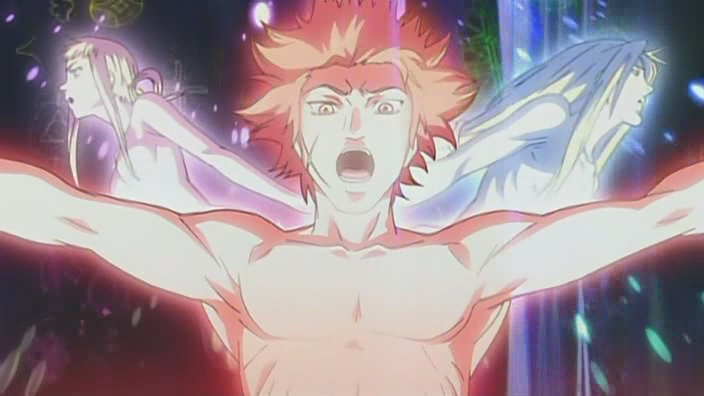 Now when it came to Aquarion the weirdness was definitely lines that was said in the show but also some noises that was made in the show. 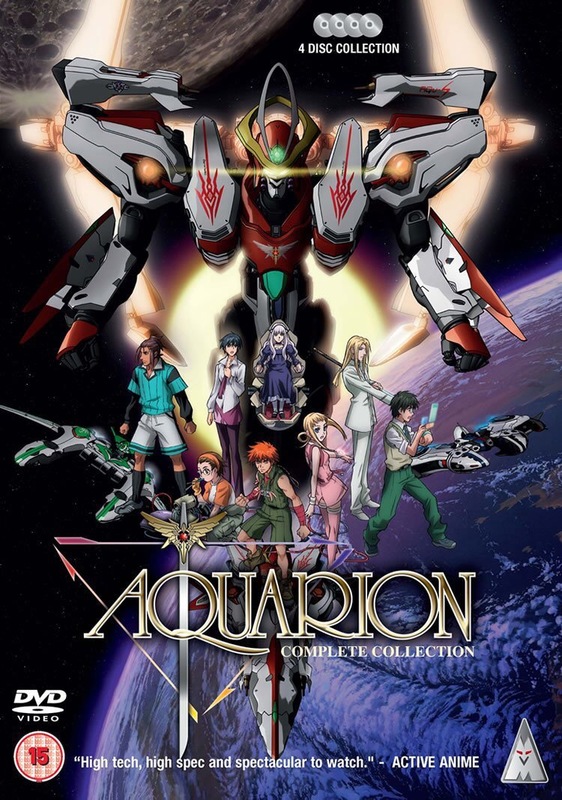 Aquarion is a mech show and to fight 3 ships must merge to make the Aquarion and when they merge I’m guessing it’s an orgasmic reaction since the noises the characters make sound like that. Once again I already knew this going into the show but still it was interesting to watch in real time. So what’s the weirdest anime that you’ve watched? Comment down below and let me know. Also if you’ve seen the shows I’ve mention let me know what you thought of them. 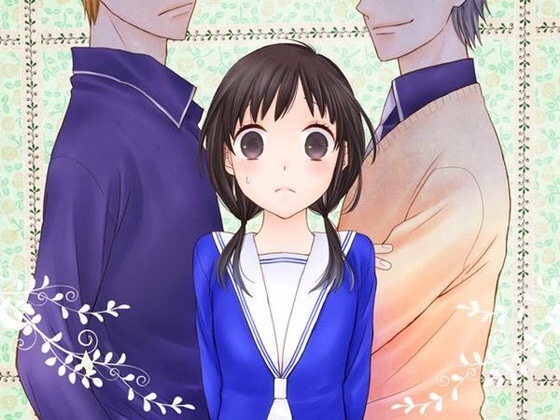 I haven’t done a manga review in a while so I decided it was about time I did another and plus I was in the mood for reading a good shoujo manga. So I’m not going to lie it was your typical girl meets boy, boy meets girl, and drama happens which involves a lot of misunderstandings and love triangles. But still I could but have certain moments where I screamed in anguish off what happened or squealed with happiness when two characters kissed. One of the things I really liked about this manga is that none of the characters were side characters. They each had their own thing going on which was interesting to see. Also they gave a breath of fresh air knowing that whole manga wasn’t going to be about the main characters love story but also other characters relationships as well. There was even some friendship drama thrown in which was also nice. I also really liked how the manga didn’t end with just their graduation but it also gave an epilogue into their adult lives. That was really nice to see and was a great ending. So if your looking for a shoujo manga that is kind of your typical shoujo manga but with a great cost of characters and other stories written in between then definitely check out Rockin Heaven! 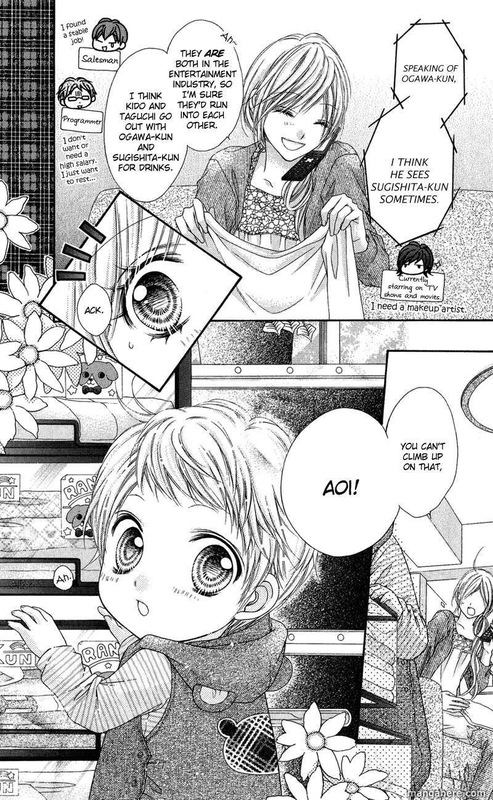 So overall I gave this manga a 8/10. Comment down below on what you thought of this manga if you read it or what you thought of this review! Join in the conversation! 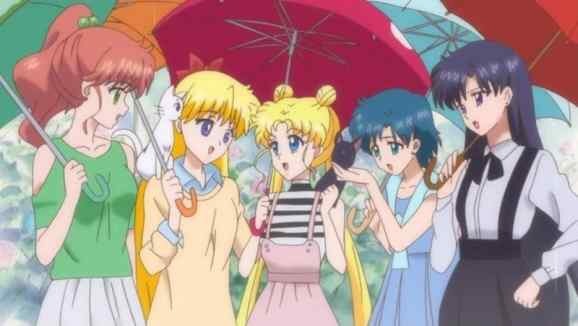 Sailor Moon Crystal Anime Review! Since I was off work this weekend I decided to finally finish Sailor Moon Crystal especially since it is finally finish airing. But let me just say I was definitely disappointed over how it turned out. Now I was definitely a fan of the first series since it was the first anime I watch as kid so I’m not saying I didn’t like it because it’s not like the original. Trust me I definitely thought of Sailor Moon Crystal as its own separate show. The biggest problem I had with the show was the plot and the characterization. For me I felt like Sailor Moon a Crystal’s plot was just wayyyyy too serious and way to focused on Usagi and Mamoru’s relationship. While watching Sailor Moon Crystal there were just way to many moments were Usagi was crying or they were constantly fighting someone or trying to figure something out. There were never any moments were they were having fun. This was one moment where I honestly missed filler episodes in a show. I mean I also read the manga and Crystal is supposed to follow the manga more closely and even in the manga there were filler chapters and laughter. Now for characterization I feel Crystal took a huge hit with that and I think it’s because of the focus on Usagi and Mamoru so much. 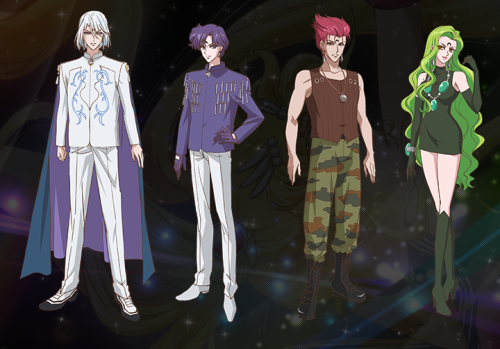 I feel that none of the other Sailor Scouts were properly introduced with their different personalities and background. This for me caused me to know really have an attachment to them and the only characters that I felt attachment too were Usagi and Mamoru. Well at least that was the case for the Dark Kingdom arc. When it came to the Black Moon arc there was definitely some character development which saved the show just a little bit for me. That being said the whole show wasn’t completely bad. I definitely enjoyed the Black Moon arc the most. 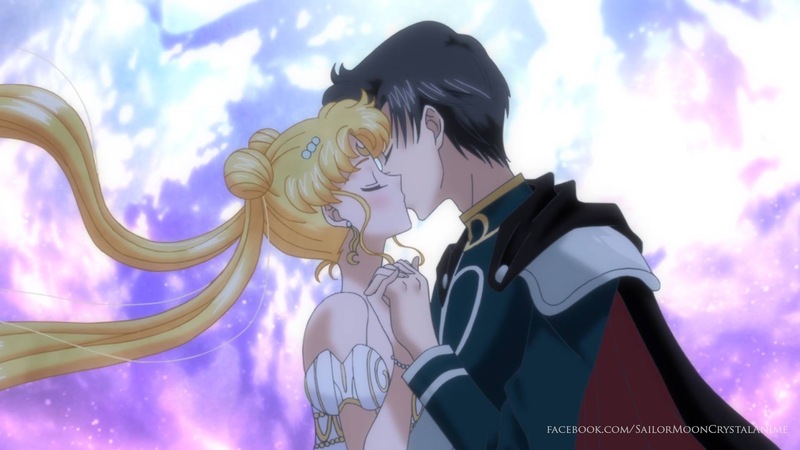 There was a lot more action which was great to see and great character development beyond Usagi and Mamoru. Also the opening for Crystal was just amazing and I couldn’t help watching it every time I watched an episode. Overall though even with the better arc when it came to the Black Moon it still couldn’t save the show for me. I ended up giving this show a 5/10. It wasn’t completely bad but I definitely didn’t enjoy it like I thought I would. Hopefully the next season is better if they have realized the mistakes that was made with this season. So comment down below on what you thought of Sailor Moon Crystal if you watched it and also what you thought of this review. Fairy Tail 1st Movie Review! At first when I started watching it wasn’t all that into it and guess that’s because it did start off kind of slow but once it got into more action and the back story I became very much more intrigued with the movie and into it. oriented since she definitely played a bigger role and the movie and I actually really liked that. I also really liked the emotional aspect of the movie. 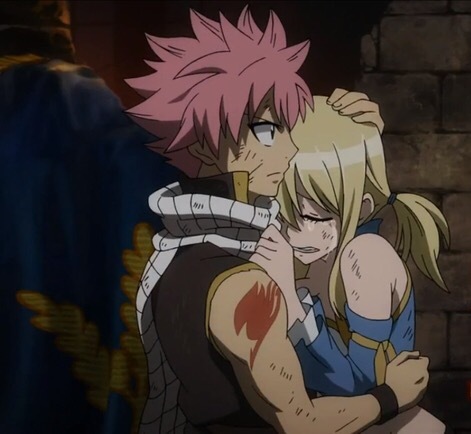 Especially since it got you more connected to Lucy and plus there was a really good NaLu moment for all the NaLu fans out there. Overall though I gave this movie a 7/10. It was enjoyable once I got through the beginning of the movie and the emotional aspect and action was awesome. So check it out! Comment down below if you seen this movie and also let me know what you thought of this review! Yes I know I squealed for joy too when I read this news as well. Now this new manga series is actually going to be a sequel to the original manga that ran from 1998-2006 but still I’m very excited for this. 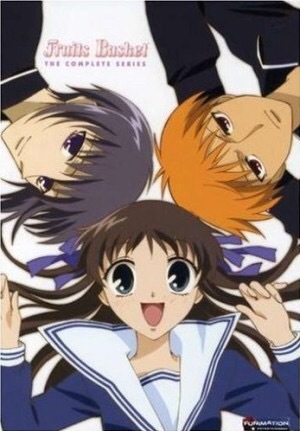 The new manga is going to be titled Fruits Basket: Another and will take place in the same setting as the original but it will have a new female lead by the name of Sawa. From the information that I’ve been able to gather Tohru, Kyo, and Yuki will not be in this series but they will be mentioned. As far as the other beloved characters in this series we will just have to see if they show up or are mentioned. The manga is planned to start in September of 2015 and will only be about 2-3 volumes long. I can’t wait to read a translated version of this. I can’t help but have high expectations for this. 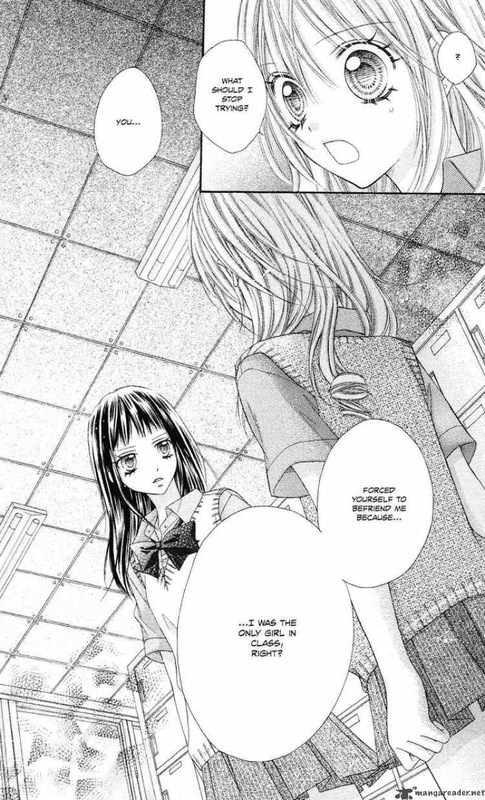 But what do you think will happen in this new Fruits Basket manga and how do you feel about it? Comment down below I would love to know! P.S. Yes I did change the name of my blog just to make everything under the same name. I’m so sorry if there was any confusion. Okay I know that I am quite late when it comes to finishing this series but what can I say I had been watching dub and didn’t want to have to watch the series subbed. “Set in an imaginary world, the Earth Land, there exists a Mage Guild called “Fairy Tail.” Fairy Tail is stationed in the town Magnolia, residing in the Kingdom of Fiore, and is currently governed by Makarov, Guild’s master. 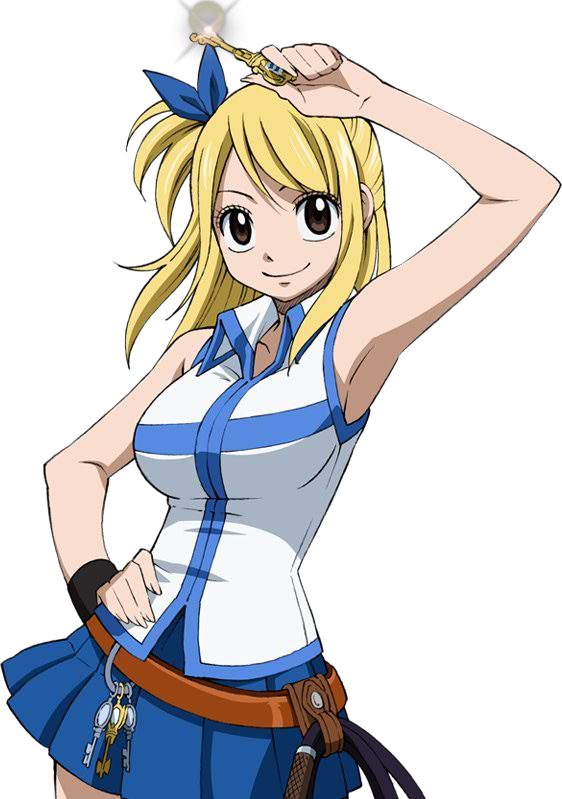 Lucy Heartfilia, a 17-year-old girl, wishes to become a full-fledged mage and join one of the most prestigious Mage Guilds in the world, Fairy Tail. This show was actually really fun to watch! Even though when it comes to long shows there were of course a few filler episodes but they honestly weren’t that bad. They actually were pretty entertaining and quite funny! Now as far as characters are concerned you have Lucy and Natsu who are easily the 2 main characters oh and I also can’t forget Natsu’s cat Happy! Now as far as Lucy is concerned I actually really like her. She definitely isn’t the strongest but during a few fights in the series she can totally hold her own. 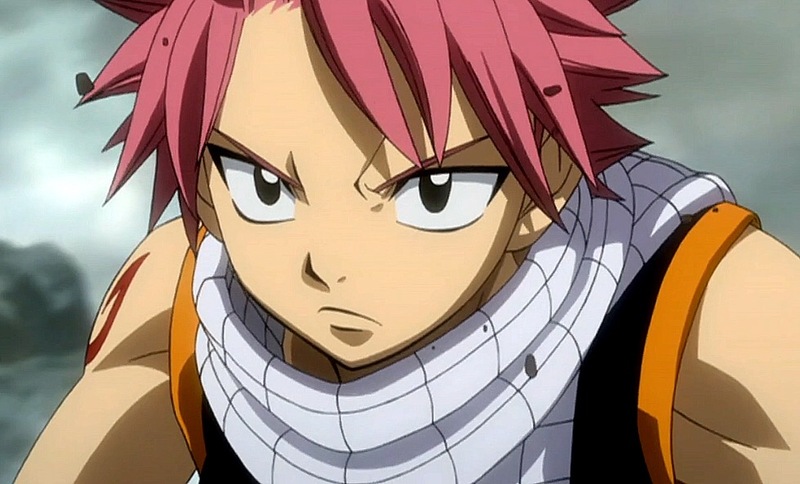 Now Natsu is definitely the hot head in the group and is the first one to go into a fight but that’s what makes him Natsu and makes him very funny! There are definitely a crazy host of characters in this show and I totally can’t name them all but they all have distinct personalities that make them a wonderful addition to the show. The music of this show was amazing and there are several openings and endings that I ended up having to download because they were so good. The only downside to this series was some of the fillers and also the same old same old when it comes to battles. 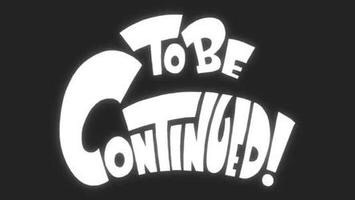 One this I will say is that they ended the first series really well with a completion of a battle but also with some intrigue as to what is going to happen next. Overall I give The 1st Fairy Tail series a 7/10. It was definitely excited with a few lulls here and there! 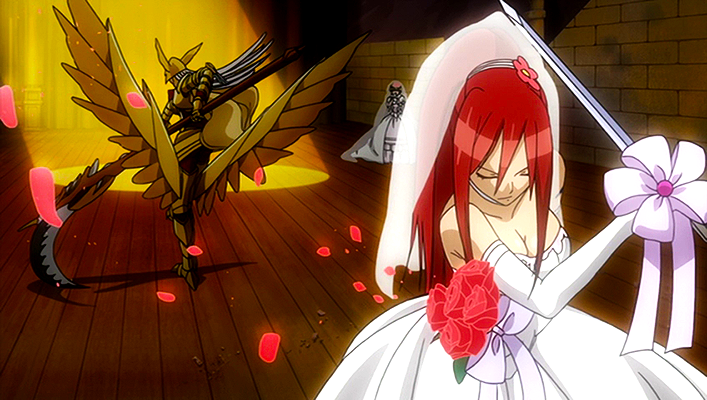 But for those of you who have watched Fairy Tail or are currently watching it, what did you think of it? Next I’m going to watch the Fairy Tail movie so expect a review on that soon! 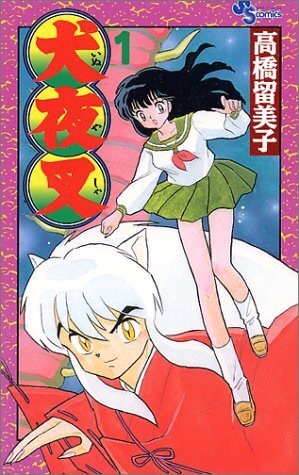 What Was The First Manga You Ever Read? So everyone always asks what was the first anime you watched, but what about the first manga you every read and just to go further how old were you. and I was 17 about to be 18 when I read it. I remembering me reading it because I finally finished watching it and I wanted to see how it ended. So what was the first manga that you read and how old were you? I would love to know so comment down below!